Kinetic Kids collaborates with the national organization iCan Shine to offer a 5-day bike camp program in the summer. During camp, children learn to ride a conventional bicycle without training wheels. Children attend a 75-minute session for five consecutive days of camp. The $175 fee includes a t-shirt and trophy. Scroll down to read our FAQs. Learn more about scholarships here. Able to side step quickly to both sides. Able to wear a properly fitted bike helmet for the 75-minute session. Max weight is 220 lbs. It is important to consider behavioral issues as you evaluate this program for your child. 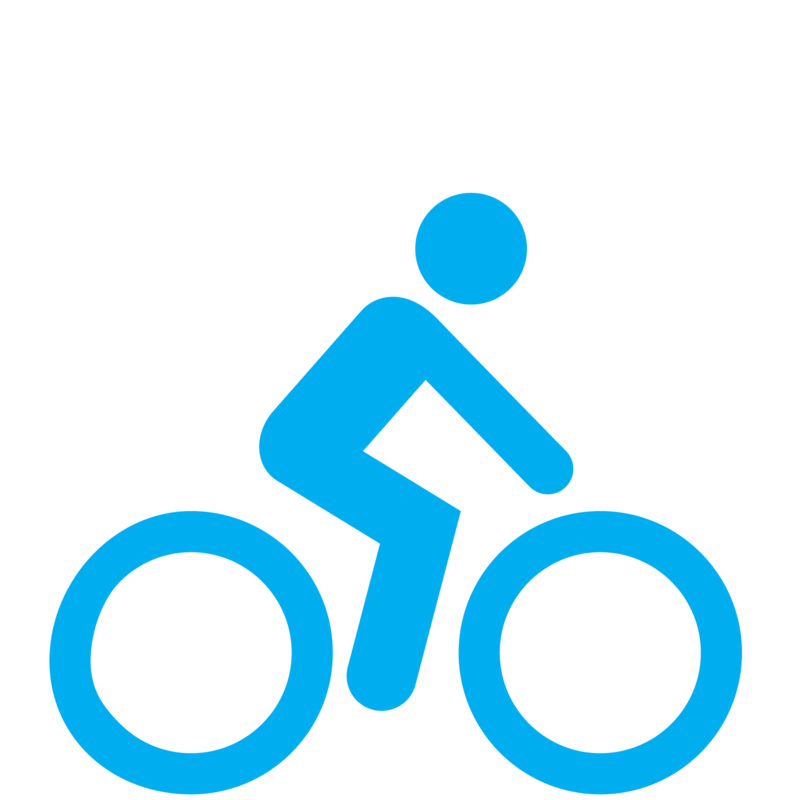 An individual may be physically able to ride a bike, but if their behavior is such that they cannot be persuaded to get on the bike and follow instructions, then it is likely this program will not be successful. Individuals with severe behavioral issues may be removed from the program if their actions are potentially harmful to themselves or others. 2019 Bike Camp is TBD. Bike Camp Applications are made available in May or June each year. Applications will be accepted on a first-come, first-served basis. What times will the camp be? Your child will be expected to be at bike camp 5 consecutive days, for 75 minutes a day. Session times range throughout day and are included on application. There will also be a MANDATORY parent informational meeting on Sunday evening, prior to bike camp. What if my child needs to miss a day? Parents must stay on site during your child’s session. You will also need to attend the MANDATORY parent informational meeting on Sunday evening, prior to bike camp. Do I need to bring a bike for my child? Each participant will need to have their own bike ready to bring to camp by Wednesday of bike camp week. If you have not yet purchased a bike, or your child is in need of a new bike, please wait and review the bike guidelines will we will send once your child is registered. If you are coming in from out of town, and are unable to bring a bike, accommodations can be made. Refunds must be requested by June 30, 2019 to receive a full refund minus a $25 administrative fee. After June 30, 2019, refunds will be granted based on our ability to fill the space with a new participant. Once the camp begins, refunds will only be granted for a medical emergency. A pro-rated refund will be granted with a doctor’s written verification.